A martyr of the Christchurch terrorist attack had converted to Islam through working with refugees, it has been revealed. 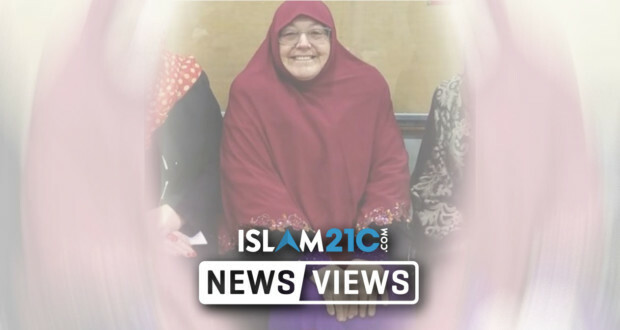 Linda Armstrong, also known as Sister Linda, was shot whilst praying the Friday prayer in the Linwood mosque alongside 49 of her brothers and sisters in the attack on two mosques in Christchurch, New Zealand, last Friday. “She died as a martyr. This criminal who does this thinks that he has done something bad for them but he’s not right. He does something very good for them,” said Tayeb, a close friend of Linda. “She was a great, smiling, nice lovely person. She loved all people around the world” he added. Ms Armstrong had worked with refugees at the Mangere’s Refugee Resettlement Centre in South Auckland and it is through this experience that the 64-year-old martyr decided to revert to Islām. According to Kyron Gosse, Armstrong’s nephew, Linda had shielded her friend in the mosque with her own body during the terrorist attack and in the process was shot in the chest. “She was absolutely loved by the Muslim community, where she was given the title ‘Sister Linda’. She was fully integrated in the community, showed up to mosque every Friday and joined in all the religious festivities,”  said Tony Gosse, Linda’s younger brother. “Whenever Linda did anything, she committed to it 100 per cent and Islam was no different” he added. According to Tayeb, Linda had written in her will that she wished to be buried in accordance with the Islamic burial process. “We don’t want her to die this way, she has been shot, but we are very happy. She always believed that she would die on Friday, that was her wish. I’m very happy that she got her wish,”  Tayeb said of his friend’s wish. On Friday afternoon, a far-right terrorist massacred 50 Muslim worshippers and injured another 48 as they prepared for Friday prayers at Al Noor Mosque and the Linwood Islamic Centre in Christchurch, New Zealand. Rejoicing in what Allāh has bestowed upon them of His bounty, and they receive good tidings about those [to be martyred] after them who have not yet joined them – that there will be no fear concerning them, nor will they grieve. They receive good tidings of favour from Allāh and bounty and [of the fact] that Allāh does not allow the reward of believers to be lost” . The government of New Zealand and the people have demonstrated compassion and sympathy. My view of them is that they are a wonderful people and muslims must be affectionate and forbearing towards them. we must never allow our judgement to be formed about any nation or group based on the action of an individual or extremist ideology. We must be restrained in our speeches and writings and allow them to heal as a nation. My final comment to all who may view this message, stop spreading propaganda of incidents that occur around the world through social media. we must understand that every modern country has a legal system and criminals and terrorist will be dealt with.